The cricketing fraternity is currently filled with exhilaration as the ICC World Cup 2019 is around the corner. The prestigious tournament will kickstart on 30th May at Edgbaston and thus, the enthusiasm amongst the fans is increasing by leaps and bounds. The Indian fans are also full of excitement as their team is considered to be one of the favourites of the tournament. Team India possesses one of the strongest squads right now and choosing them as favourites is a no-brainer. However, the 15-man Indian squad for the upcoming World Cup hasn’t been announced yet. It was revealed, a few days ago that it is likely to be announced on 15th April 2019. In the meantime, the Indian players are currently playing the 12th edition of the Indian Premier League. This extravaganza is helping the Indian selectors to a great extent as the players’ potential and current form is not being hidden from anyone. It is also helping in solving the no. 4 woes of the Indian team. Amidst all the havoc & hearsays regarding the team selection, the former Indian cricketer Sunil Gavaskar also expressed his views over India’s likeable no. 4. 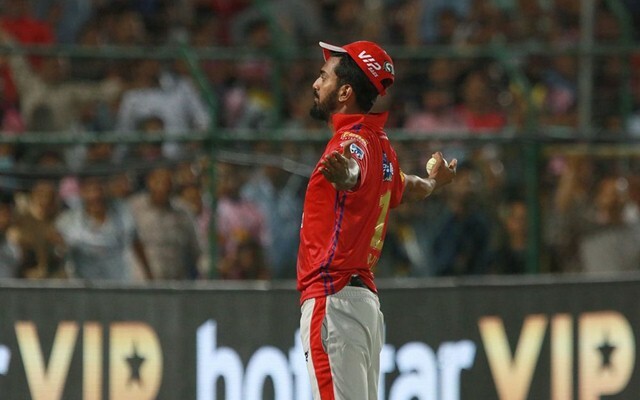 The Mumbai-born picked the name of KL Rahul as an option for the no. 4 spot. Rahul has displayed scintillating form in the ongoing IPL and has scored runs with consummate ease. He (Rahul) is supposed to be consistent like Kohli. Whilst talking about KL Rahul’s selection, Sunil Gavaskar said that whosoever bats at no. 4 will turn out to be a matter of debate. The current IPL form is gonna play an important role and hence, Rahul seems the best bid as the former no. 4 i.e. Ambati Rayudu is in a poor form. Whilst, KL Rahul, on the other hand, has, thus far, scored 317 runs in 7 IPL matches, and has been one of the top performers of the tourney. Meanwhile, Sunil Gavaskar also opined about the former’s form. “He has played at no.4 in the past. But for some reason, he was confused in the past year and a half or so. But we have seen him bat with a lot of focus and concentration in the IPL. And I don’t think it’s so much a problem for an opener to switch to middle order as opposed to a middle order player to bat in the opening position,” the 69-year old was quoted saying as by India Today. “Look we know about his talent but for the last four years when there have been a lot of expectations from him, he hasn’t always scored. But the way he has batted in the IPL, I think he can bat at No.4.” the former Indian skipper further added.